Amazing sterling silver hamsa pendant with 16.5"" silver chain, an artisan filigree traditional Yemenite workmanship set with a roman glass fragment with beautiful patina. 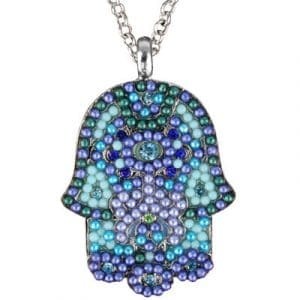 The hamsa pendant is very impressive amulet of delicate filigree work. This Amazing Hamsa Evil Eye necklace is of sterling silver. This Hamsa pendant with 16.5"" silver chain is an artisan filigree. The traditional Yemenite workmanship set with different Jewish symbols. It is also set with ancient roman glass fragment. With beautiful patina gives the finish of wearable art. The palm of the necklace holds a circle of sparkling. This makes it unique and beautiful. It can be a great gift for someone whom you love. It is in the North African part and in Middle East art. It has prevailed for centuries. Hamsa is one of the powerful traditional symbolic images. It protects us against the Evil Eye. The Hamsa pendant is an impressive amulet of delicate filigree work. The Hamsa hand is an old and popular amulet. 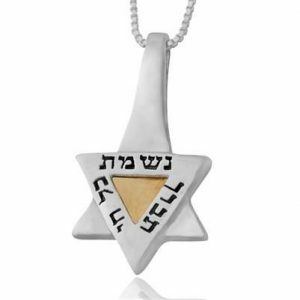 It gives magical protection from the evil eye. 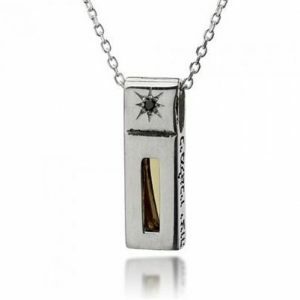 It is popular for drawing positive energy, happiness, riches, and health. The Chamsa’s (Semitic root meaning five) includes five digits. It symbolizes the Creator’s protective hand. Five is by itself a number known as a protector. The Hamsa symbol is a common Jewish motive. It represents protection against the evil eye. Roman Glass, the material used to make this necklace is wonderful. It is a rare material discovered in the Holy Land. This Glass shows the wealth and royalty of the person. But it’s common in the Roman Empire. Israel is one of the few places in the world. Because its condition is suitable for the formation of the Roman Glass. The buried glass absorbs minerals from the surrounding of the soil over time. The color of the Roman glass varies so no two fragments are alike. Each and every glass jewelry is unique itself. 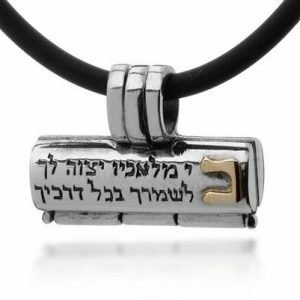 Wearing this unique jewelry increases your pride. It takes your beauty to a different level. 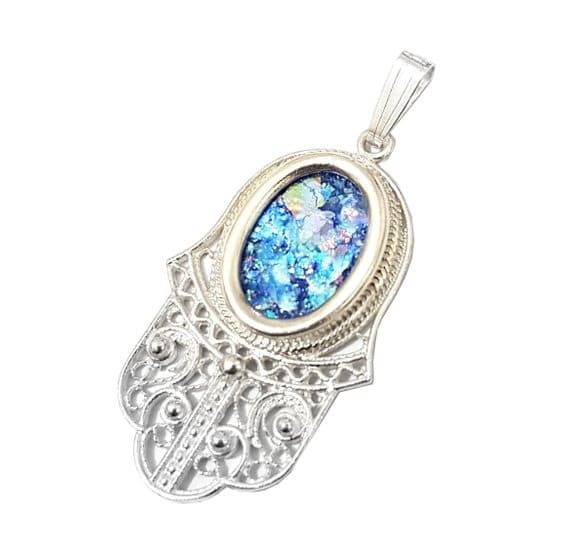 Amazing sterling silver hamsa pendant with 16.5″” silver chain, an artisan filigree traditional Yemenite workmanship set with a roman glass fragment with beautiful patina. This Amazing Hamsa Evil Eye necklace is of sterling silver. 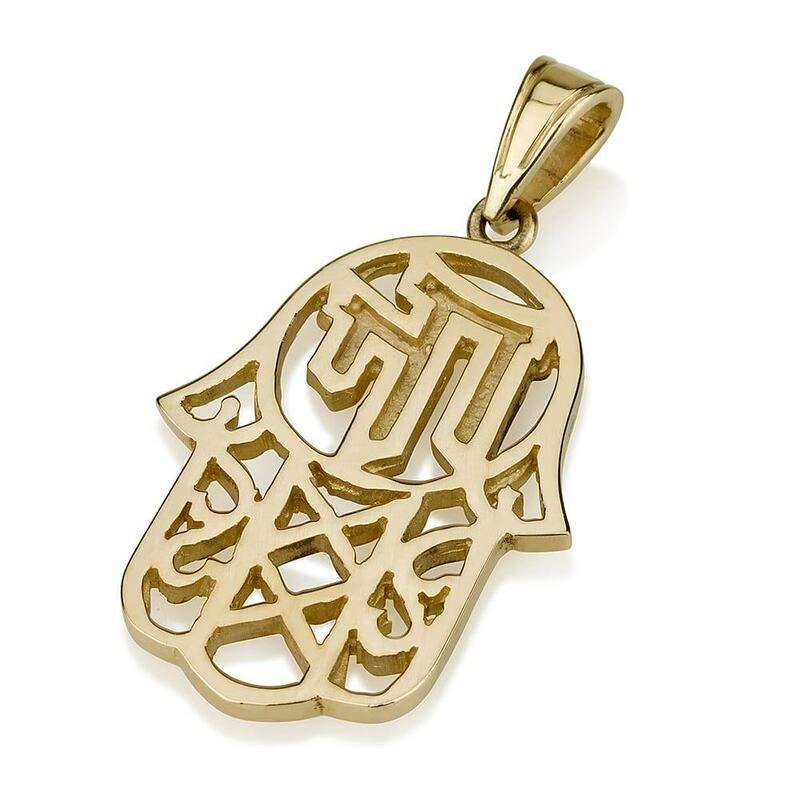 This Hamsa pendant with 16.5″” silver chain is an artisan filigree. The traditional Yemenite workmanship set with different Jewish symbols. It is also set with ancient roman glass fragment. With beautiful patina gives the finish of wearable art. The palm of the necklace holds a circle of sparkling. This makes it unique and beautiful. It can be a great gift for someone whom you love. It is in the North African part and in Middle East art. It has prevailed for centuries. Hamsa is one of the powerful traditional symbolic images. It protects us against the Evil Eye. The Hamsa pendant is an impressive amulet of delicate filigree work. The Hamsa hand is an old and popular amulet. 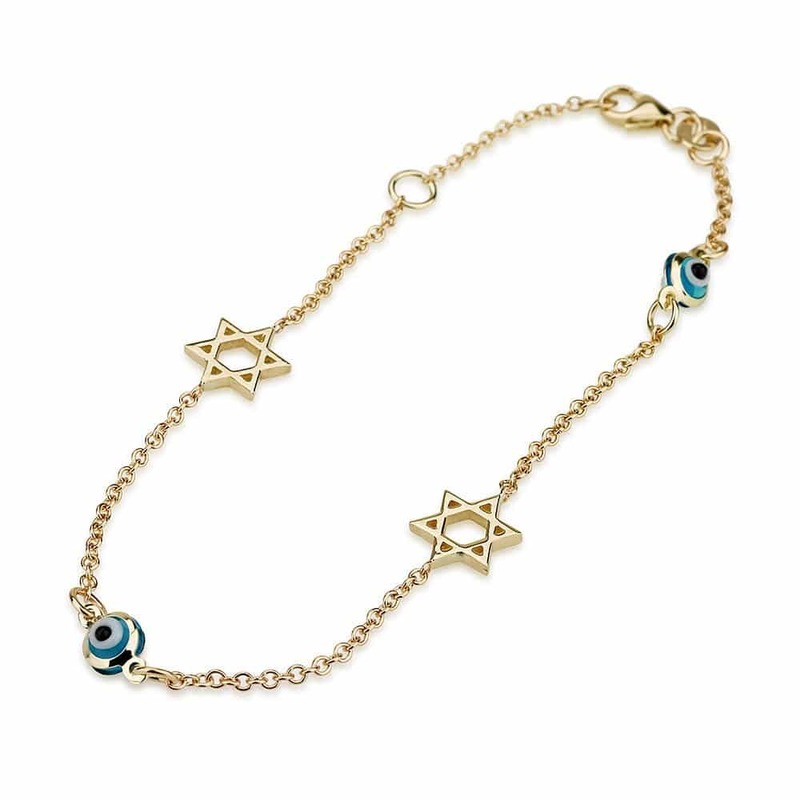 It gives magical protection from the evil eye. It is popular for drawing positive energy, happiness, riches, and health. The Chamsa’s (Semitic root meaning five) includes five digits. It symbolizes the Creator’s protective hand. Five is by itself a number known as a protector. The Hamsa symbol is a common Jewish motive. It represents protection against the evil eye. Roman Glass, the material used to make this necklace is wonderful. It is a rare material discovered in the Holy Land. This Glass shows the wealth and royalty of the person. But it’s common in the Roman Empire. Israel is one of the few places in the world. Because its condition is suitable for the formation of the Roman Glass. The buried glass absorbs minerals from the surrounding of the soil over time. The color of the Roman glass varies so no two fragments are alike. Each and every glass jewelry is unique itself. Wearing this unique jewelry increases your pride. It takes your beauty to a different level.